XeneCore is a revolutionary technology that is making huge steps in the manufacturing sector. XeneCore like carbon fiber, is very light and strong, but this amazing technology can be made half as thin and be at least twice as strong as its Carbon Fiber counterpart. This versatile technology can be used in any number of fields, aerospace, sporting goods, automobiles, nautical, just to name a few. 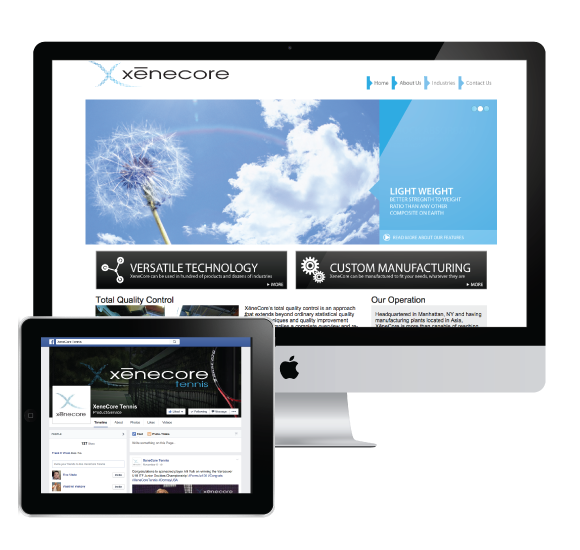 Being this versatile, XeneCore was in need of an informational website to help close the gap between their technology and the companies that need it.